Our sharpshooters are designed to fit on John Deere boots, and case sdx scrapers. For the first time you can safely and precisely band your liquid Nitrogen, Potassium & Sulfur away from your wheat seed at planting time. 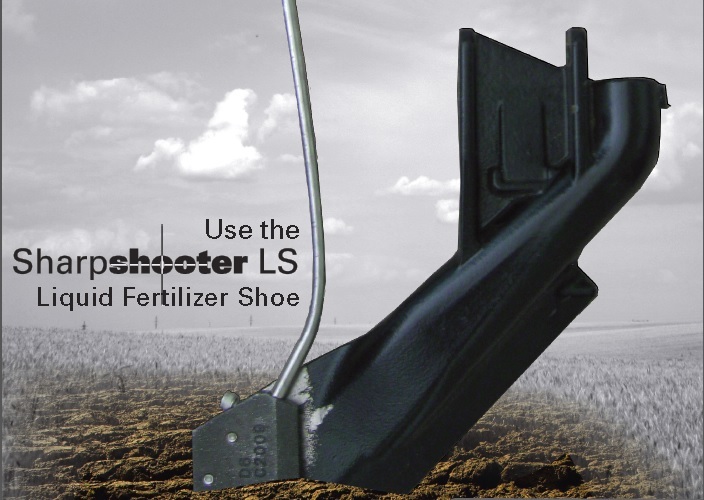 The Sharpshooter LS fits on your John Deere, Case IH and the new Amity Twin Row No-till seeders so you save time and money in your operation. The Sharpshooter puts more profit on your bottom line. Quantities are limited. Slideshooter already set up on an air-seeder.